Recently, I’ve been putting a lot of thought into what I’d want my super power to be. You see, I want something that I could keep on the down-low; something that I could hide from the public. Let’s face it, I wouldn’t want to be hunted down by vigilantes or the government. This rules out being elemental / made of fire. Conversely, I’d also want a power that would allow me to have fun AND protect myself when those same government forced find out about me / my arch villain rises up to confront me. So… what was the power I’ve decided on? Gravity manipulation. This would allow me to fly (cool), flip cars easily, and also crush those cars into a pulp by generating a gravity field. As well as generate some cool gravitational force fields… See, my powers would be pretty cool, right? 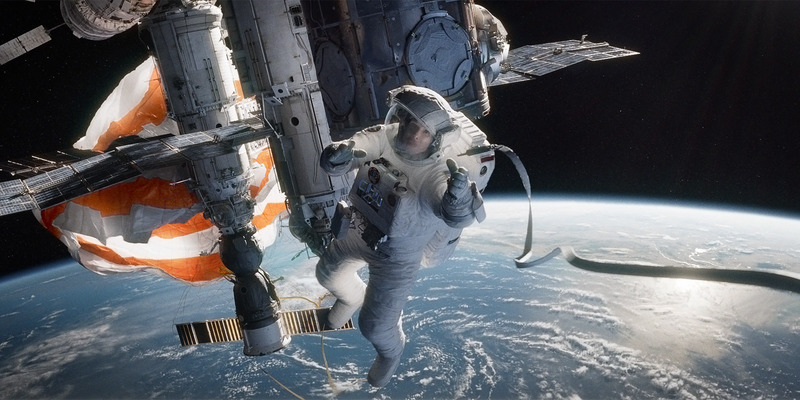 It’s quite funny then that the next film I headed out to review was Gravity… Pure coincidence! 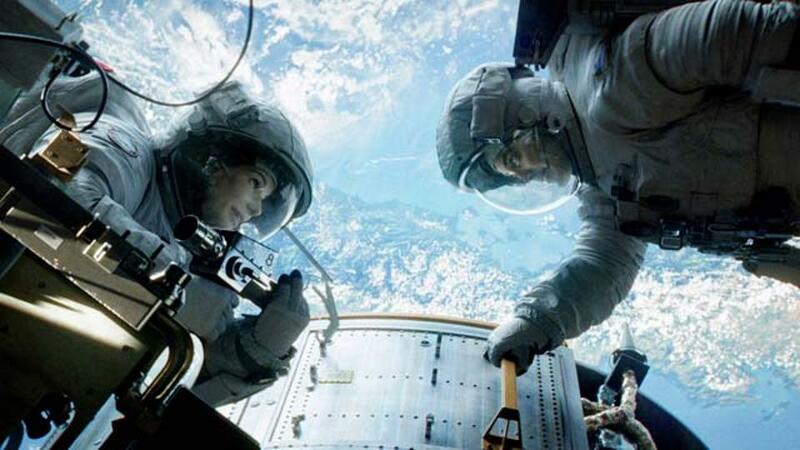 Gravity is a brave film. Why is it so brave? No, it doesn’t detail my ascent to superhero status; it features only two actors. Well, sure, there are other voices, but no real “acting” comes from them. Instead, we are treated to 90 minutes of Ryan Stone (Sandra Bullock) and Matt Kowalski (George Clooney) in space. It’s not spoiling anything to say that Gravity deals with the aftermath of a devastating destruction of a US shuttle whilst carrying out routine maintenance on the Hubble telescope. This leaves Stone and Kowalski fighting for their lives in space as they determine the best way to get back down to Earth. What unfolds is a hybrid blend of Alien, Buried and something akin to films like Open Water, which plagued cinemas some years back – you know, those ones where we essentially follow people in mortal peril in some “realistic” situation, such as falling off a boat and being unable to climb back on. Essentially, we’re looking at a tension filled space opera with a focus on solely two characters. And it works. It works REALLY well. 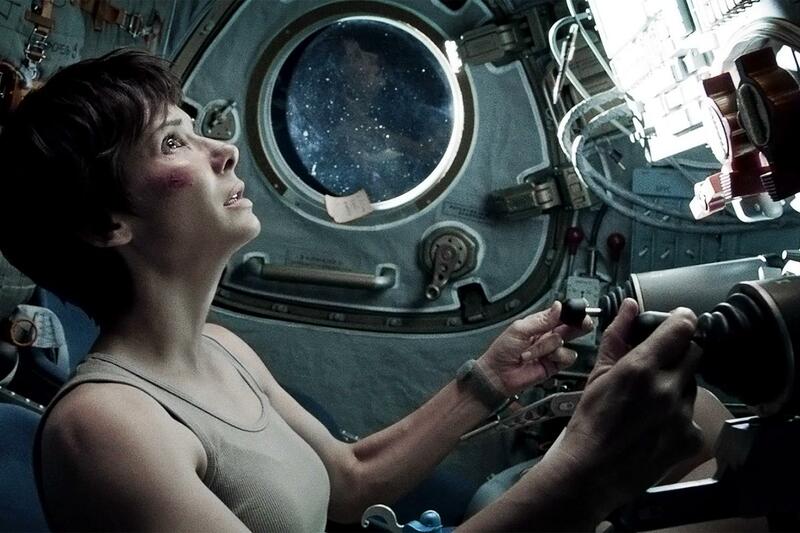 Gravity is easily one of the tensest films I’ve seen in some time. As we only saw Captain Phillips a couple of weeks ago, that’s saying something. It’s beautiful to look at, has spectacular set pieces and the musical score is mesmerising. But that’s not to say the film is without its faults. The biggest fault is the feeling that the events that unfold are such “flukes”. Without spoiling anything, the film ricochets from one set piece to another and you’re left feeling “how is that possible?” / “how fortuitous is that?!”. Sure, most films call for the “suspension of disbelief”, because after all – this is a film. But Gravity pushes it to the n-th degree. It pushes the suspension so far that you have to disbelieve it again. You’re basically forced to. This continues right up until the credits roll at the end – it’s not a one off. That being said, you can’t fault the quality of the film; it’s sheer entertainment. The suspense I mentioned? It’s there in buckets. For as empty and vacuous as space is, it’s a place of extremely high tension and drama. Especially when you’re low on oxygen and propulsion fuel. This suspense is kept up by two fantastic performances from Clooney and Bullock, especially the latter. Bullock is, for all intents and purposes, the “lead” actor here. She really does capture the emotions of terror and fear, even if she is extremely… fortunate at times. In fact, for a rookie astronaut she’s remarkably calm and balanced too. I guess NASA train you well! What really brought the film to life was the direction, visuals and the music. Hell, even the 3D worked for the first time in forever. It actually ADDED to a film. I know, a shocking revelation. Alfonso Cuarón does a great job capturing the enormity of space and does much to throw in occasional symbolisms for those that seek them. Sure, the majority of the film is green screen, but it’s realised so beautifully. 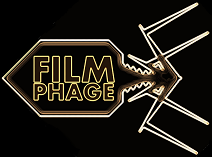 As many Phagelings will know, we’re big audiophiles at Film Phage, so the music certainly needs merit. We all know that sound doesn’t travel in space (no-one can hear you scream etc. ), but the soundscapes generated? Very impactful. If you’re a fan of large sounding post-rock and twee instrumentals ala the more atmospheric Sigur Ros tracks, or anything by Godspeed You! Black Emperor, then you should get a kick out of the musical accompaniments. Not many will fully appreciate this, but I reckon you kids will. Like me. Gravity is a beautifully realised film, even if it does stretch the disbelief that I was willing to suspend to breaking point. It’s a very brave move to base a film solely around two actors and some voices, but it works incredibly well. Would this have worked with lesser equipped actors than Clooney and Bullock? That’s debatable. But regardless, Gravity delivered 2013’s finest foray into space and didn’t fail to keep me feeling tense and uppity long after I left the screening. I still think they should make a film about my rise to superhero status as Gravaphage. But what type of superpowered person would I be? Would I dedicate myself to the good fight? Would I keep my identity a secret? Or would I just “do an Iron Man” and show the world what I can do? CRUSHING those in my path (with my gravity, of course)… Hell, these are all considerations for another day. You’ve also got to consider what would be my Kryptonite… Hmm… Answers on a postcard please!